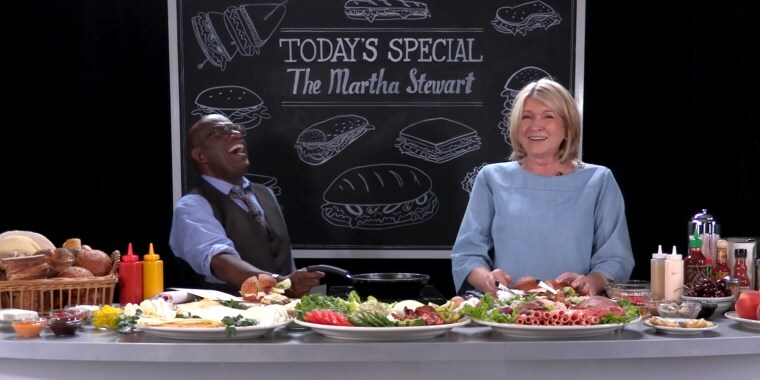 In the seventh installment of Al Roker's original series "COLD CUTS," Al welcomes legendary domestic guru, television personality (alongside Snoop Dogg! ), mother, grandmother, former model, masterful selfie taker and total comedic genius: Martha Stewart! 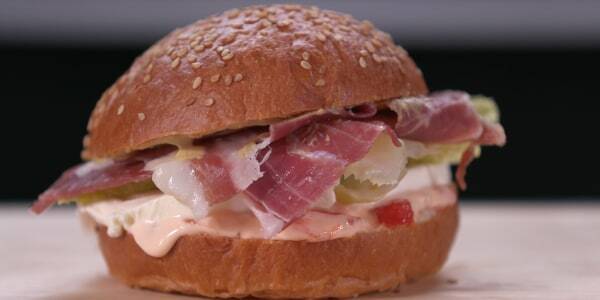 Martha crafts a sandwich with Iberian ham (that's jamón ibérico for all the fancy folks out there), red pepper mayo (her secret sauce! ), Dijon mustard, mozzarella and baby romaine lettuce on a brioche bun, all while discussing why she likes being a grandmother more than being a mother, how she remained positive during her legal struggles ... plus, everything she's learned about rap music (specifically the Compton scene) and cannabis from Snoop. If you can get your hands on Iberian ham ($$$), Martha's sandwich is a must. If not, make her famous grilled cheese with mayo!